Here is a man who plays with the business card all the time. The whole thing was performed for the new Samsung Digital Camcorder H205 launch and it was also filmed by H205. Russian large helicopter gunship, perated from 1972 by the Soviet Air Force. A quick flight I made after getting this add-on aircraft. Aircraft is from Bear Studios. 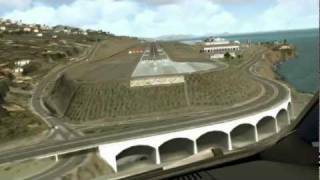 FSX add-ons include TrafficX and MegasceneryX-Las Vegas.